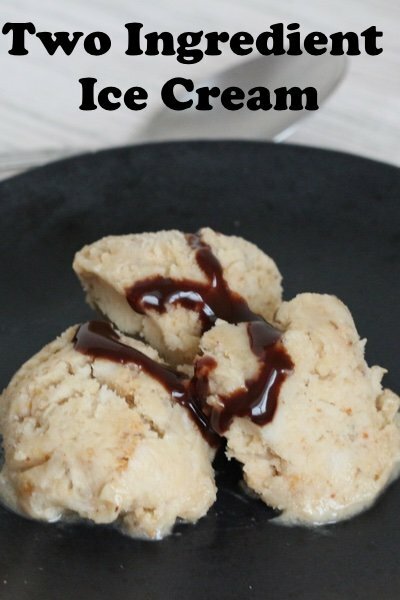 What if there was something that resembled ice cream and you could make it yourself? No sugar added, no saturated fat, and incredibly simple! Yes, those bananas that no one wants to eat because they look disgusting? They are sitting on your counter right now – looking at you. These are what make the “faux ice cream” sweet. All you do is slice them, freeze them, blend them with some peanut butter and viola! This is tasty and hits that sweet, salty, fatty note that we love in sweets without the animal fat. If you have a high power blender, use it for this recipe. I have a $50 blender so I use my food processor to get the right consistency. Add some cocoa powder if you want a chocolate note – so good. This is way way cool. And easy enough for a child to do!! I will try it with almond butter as soon as my bananas get a little more disgusting so I can freeze them. Thank you, Lisa! Thanks for this ice cream we have an all nut allergies is the a substitute you found for the peanut butter? According to the new WW plan it is 4 Smart Points. According to the new WW plan the Strawberry Frozen Yogurt recipe is 4 Smart Points. I really don't like bananas, but would like to try something like this...any other suggestions instead of banana? 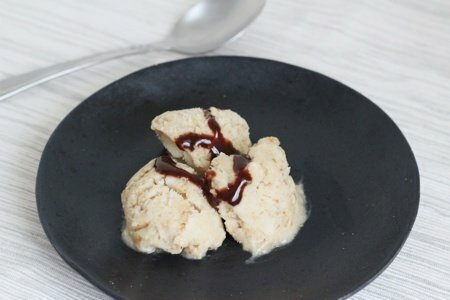 How would you substitute powdered peanut butter in this recipe? Thank you Snack Girl! I will have to try your recipe. I do something similar with the sliced frozen bananas- I add a tablespoon of peanuts or whatever nut I have in the house, a little drizzle of chocolate syrup and a small spray of whipped cream. It is a very satisfying, healthier version of a banana split. There is actually a machine that does this quickly and easily that was created by a mom who didn't want her kids to eat all the sugar in ice cream. I have had one for several years and we love it . It's called Yonanas. One tip she gives is make sure your bananas are cheetah spotted - so not too green but also not too ripe. All her recipes call for one banana and a 1/2 cup of other frozen fruit. We have used frozen fresh pineapple, strawberries, raspberries, tangerines, etc. In addition to nut butters at the end you can stir in small pieces of dark chocolate or we have even used cocoa nibs. Using the machine you either allow your frozen fruit to sit on your counter for 30 minutes so it's not hard as a rock or microwave it for 30 seconds. It turns out just like frozen yogurt. 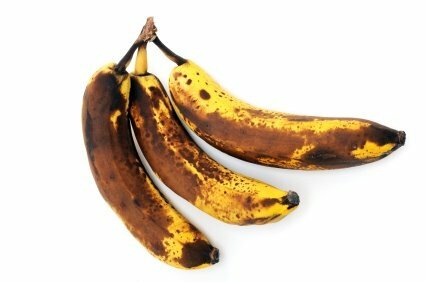 By the way, for people who don't care for bananas, you really can't taste it when you add in the other fruit. It's more for texture. No, I don't own stock in the company but I just love the product and the recipe ideas. In fact, when using frozen fresh pineapple (I cut it into bite sized pieces before freezing) it reminds me a lot of the Dole pineapple whip you can buy at Disneyland. I have fixed this!! It's wonderful! I would substitute regular or chocolate PB2 to reduce points. I've been curious about the Yonanas machine and recently saw ît for the first time at Costco. Is it really worth the expense and counter space vs. the clunky old food processor already sitting on my counter? We love our machine but we store it in a cabinet so didn't have to give up counter space. It's much easier to clean than a food processor - just rinse the parts and drain. They are supposed to be dishwasher safe but they honestly clean up so easily we never have put then in the dishwasher. I don't know the Costco machine. I know the original machine was quite noisy but the newer model is larger but much quieter. My kids and I have been making this for almost two years. We eat ours plain (only bananas), with peanut butter (no sugar added kind), with some unsweetened coconut, with cocoa powder, or with cocoa nibs. Tonight we tried it with a couple of drops of lime essential oil, and it was much better than expected! The easiest way to do this is a Yonana machine. Put frozen peeled banana in and what looks like softserve ice cream comes out. The riper the banana, the sweeter it is. I cut tortillas into triangles, brush with a little melted margarine or butter, sprinkle of cinnamon sugar and bake till lightly browned and serve with Yonana "ice cream" and a squirt of chocolate sauce. Voila! Dessert Nachos! Yonana is great as is, on top of or inside crepes, with a bit of melted peanut butter on top, etc...and way that you might eat ice cream with much more nutrition and fewer calories. I actually found mine at a second hand store for $5! Excellent deal! Asking again -- if I substitute powdered peanut butter how much should I use? @Terry - I think 3 tablespoons would be good. I haven't tried it so I am not sure. Just add some in and taste it! Thanks for the estimate on the powdered peanut butter substitution!